Back in December, I posted a message from Worshipful Brother Vincent Lombardo, a Past Master of Quinte St. Alban’s Lodge No. 620, in Thornhill, Ontario, Canada, a regular lodge chartered by the Grand Lodge of Canada AF & AM in the Province of Ontario. He was seeking information for a huge study he was working on about the statistics and practices of Freemasonry all around the world. Based on the figure cited by his own jurisdiction, there are currently approximately 3.2 million regular Masons worldwide who are in amity with the United Grand Lodge of England and most North American grand lodges. 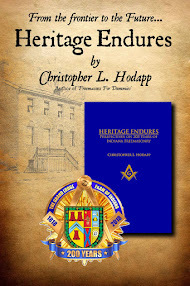 His study results reflect responses from 81 individual Masons, and he was hampered in compiling truly detailed results because he was forbidden to actually contact Grand Secretaries or grand lodge offices directly. So the outcome is more of a compilation of individual experiences and opinions than anything remotely official. And he freely admits that he is not a professional statistician or researcher, but merely a Brother interested in worldwide trends, successes, and failures. Having said that, his ambition was enormous without any real outside support besides word of mouth. It's a long read, but well worth study. Interestingly, Lombardo comes to many of the same conclusions and suggestions that our group, the Knights of the North, reflected upon ten years ago in Laudable Pursuit. Not surprising, perhaps because we both used Dwight Smith's observations from the 1960s as the basis of our initial missions. The study is especially useful for North American Masons to see how jurisdictions in other parts of the world operate on a day to day basis. He tries to make distinctions between jurisdictions that are growing versus ones that are declining. There is, unfortunately, no magic bullet for lodges and grand lodges that are losing members, but there are dozens of small practices that can contribute to greater successes. That is, perhaps, the most useful conclusion that can be drawn from this noble experiment, and I applaud WBro. Lombardo for his extraordinary effort. To contact WBro. Lombardo about his study, or to provide feedback, he may be emailed by clicking here. I find it distressing and indicative of a failing leadership system that the Grand Lodges would respond with anything but enthusiasm to a gathering of information which would potentially highlight where lodges might improve their membership and prosperity. 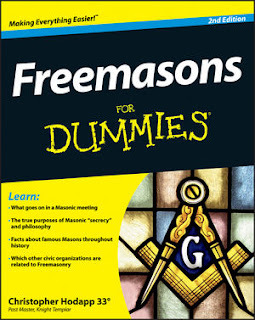 It shows a problem which I believe is common in the leadership of Freemasonry in the U.S. Old Masters hampering what few young members they have. Men who have long since lost their own ambition and energy causing the Craft to decline even as their own personal health declines. Younger members have no standing to combat such a thing. I often wonder if we shouldn't found our own Lodges and, when F&AM finally draws its last breath, simply fill its place. Ethan Coker, I think you will find that those Grand Lodges with substantial endowments will never disappear. There will always be a few thousand men, in any and every state, happy to submit to the discipline of Grand Lodge for the prudent joy of managing millions of dollars. So don't count the Grand Lodges out yet. The REAL problem is that Grand Lodges see blue lodges as volatile, chaotic and temporary effusions of men. Only the Grand Lodge is eternal in their view. So they shrug their shoulders and let the lodges fiddle around as best they can.